To maximize the benefit of the project’s results to multipliers such as trainers, teachers, youth workers, educators, policy makers and decision makers to enable them to apply it in their work contexts. To disseminate the project’s results and show how to develop digital biographical narratives for learning and using an online multimedia portfolio platform. To extend the concept of biographic visual narrative in the different countries and contexts. To involve academics, teachers, social mediators, policy makers and other stakeholders in alternative vocational youth education policies. The language of the event will be English, but there will be simultaneous translation. Mr. Pablo Martínez. Programs coordinator, MACBA. Prof. Dr. Juana M. Sancho, Research Group Esbrina, University of Barcelona. 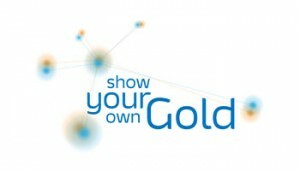 Dr. Daniela Reimann, KIT, project coordinator of the ‘Show your own Gold’ Erasmus+ project. Mr. Estanislau Vidal-Folch de Balanzó. Deputy Director of Initial Vocational Education. Department of Education. Government of Catalonia. Moderator: Graham Attwell, Pontydysgu, Wales, U.K.
Prof. Dr. Martin Fischer. Karlsruher Institut für Technologie (KIT), Germany. Dr. Marina Elias. Research Group on Education and Work (GRET), Spain. Dr. Maria Perifanou, University of Macedonia, Greece. Graham Attwell and Dirk Stieglitz, Pontydysgu, Wales/U.K. Prof. Vito Carioca, Prof. Aldo Passarinho and Prof. Tiago Caldas Nunes Polytechnic Institute of Beja, Portugal. Graham Attwell and Dirk Stieglitz, Pontydysgu, Wales, U.K.
Martina Mrakovčič and Meta Brečič, Zavod Nefiks, Slovenia. Prof. Dr. Juana M Sancho Gil and Dr. David Viñuales, University of Barcelona. Montserrat Rifà. Universitat Autònoma de Barcelona, España. Towards a European pre-VET pathway and curriculum. Please fill in the following form to register for the event. If you have attended this event, please fill out the satisfaction survey available on the project’s website.